A djinn of stern and etiquette. In the 7th Dungeon's basement, in a city that spread out there, Aladdin and the others met Amon, a polite yet rigid djinn. He materialized in the form of a muscular, bearded old man with an intimidating air. 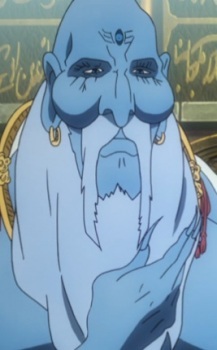 The main trio of Aladdin, Alibaba, and Morgiana in Magi: The Labyrinth of Magic, are more than simply close compatriots. They showcase the connection between the Magi, the King Vessel, and the Household they command. Let's take a look with GIF images to showcase this.